BotoxMontclair | Gregory Heifler M.D. 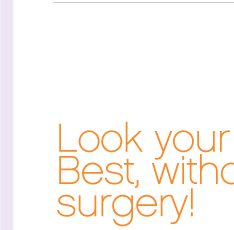 Botox and Dermal Fillers admininstered flawlessly by Dr. Gregory Heifler, Cosmetic trained Board Certified Physician. You'll also enjoy the relaxed environment, painless techniques and very affordable prices. Dr. Heifler treated me, with the utmost care and concern, for my health and appearace. He was very professional.The botox was very affordable.